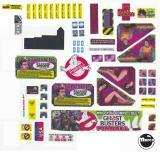 "GHOSTBUSTERS (Stern) Ghost Guard kit" has been added to your cart. Stern GHOSTBUSTERS decorative plastic "Ghost Guard" protector and feature tweak kit. 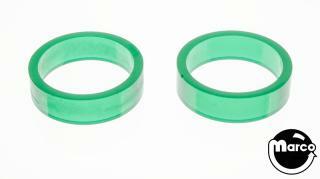 15 piece kit includes plastic mini post, lane guides, green slime plastics and green Super-Bands™ polyurethane flipper bands. Thicker return lane guides reduce air ball hop over metal outlane guides. Optionally installed top mounted mini post allows for more liberal play with the large flipper opening playfield design. 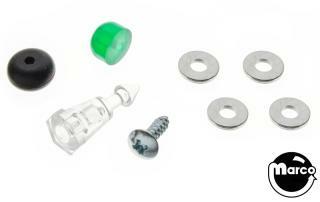 May be installed with tall lane guides only, or with tall lane guides combined with center mini post option. Either configuration uses the green slime plastics to enhance the game aesthetics. Fits all Stern GHOSTBUSTER models - PRO, PREMIUM and LIMITED EDITION.